Founding donors made it possible for FLA to obtain the Florida specialty license plate “Visit Our Lights.” This was a very significant step toward securing sustainable funding for lighthouse restoration efforts. 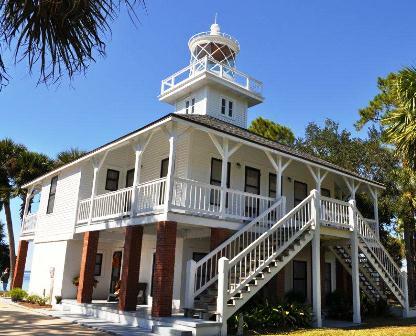 Revenue from the sale of specialty plates continues to provide restoration grants to Florida’s Lighthouses. In recognition of their leadership support these donors will be recognized as “Winslow Lewis Founders Society” in perpetuity. Winslow Lewis was the visionary sea captain, engineer and inventor who built many early lighthouses in America. The Winslow Lewis Society replaces the original “license plate campaign” recognition known as the 365 Club and $1,000 Challenge, which have been discontinued. In recognition of the significant impact Winslow Lewis donors have had on lighthouse restoration and preservation efforts, they were invited to a special tour of the St. Joseph Point Lighthouse during the recent Lighthouse Congress. 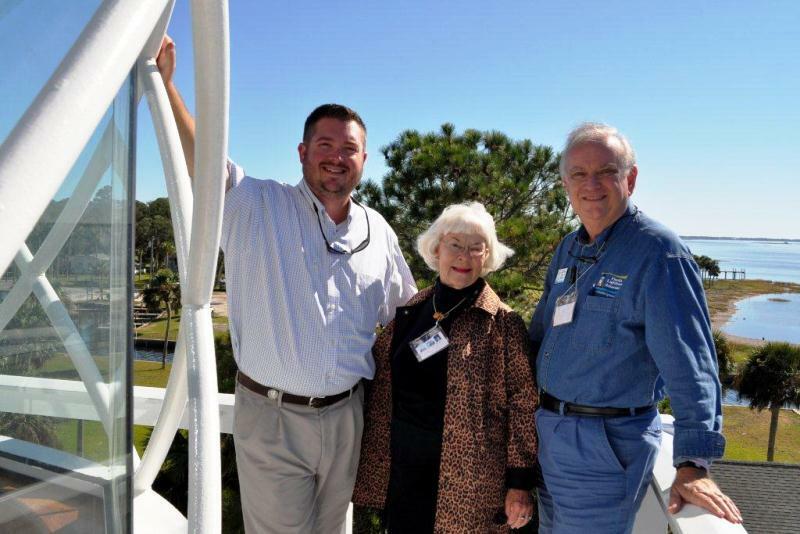 Below host Danny Raffield enjoys the view from the lantern room with Winslow Lewis Society member Mary Dorsey and Ken Smith. FLA’s Board established this society to commemorate leadership donors "in perpetuity." Donors may chose to remain anonymous in which case “anonymous” will appear where the donors name would normally appear alphabetically. Please download the "publication name request form" to update or add your name for the donor recognition listing.